Our skin starts showing signs of ageing once we hit 30. Hence we are always told to start the anti ageing skin care routine from 20s itself. As soon as skin cross 30 it starts loosing its elasticity and firmness. As a result it becomes loose and saggy. Apart from the natural ageing cycle there are other factors which causes premature ageing such as harmful sun rays , pollution and nutrition deficiency. We can not stop the age cycle but we can definitely delay at by incorporating some healthy habits. Most of you must be using various anti ageing creams and serums to take care of the wrinkles. Today we are going to discuss about some easy recipes of anti ageing serums which you can prepare at home with few ingredients. To prepare this anti ageing cream you would need 1/4th cup of Almond Oil, 2 tablespoons of Beeswax, one tablespoon of Shea Butter, two tablespoons of Coconut oil , one vitamin e capsule and few drops of essential oils of your choice. First put all the ingredients in the glass bowl and mix well. Now put this bowl in microwave till it melts. Once done take it out and pour the mixture into the small glass jar. Let it cool down. Once down close the lid and store it in the refrigerator. You can use this cream after cleansing and toning. This cream contains goodness of Shea Butter which helps to hydrate and heal the dry and damaged skin. While almond oil and coconut oil helps to nourish it. 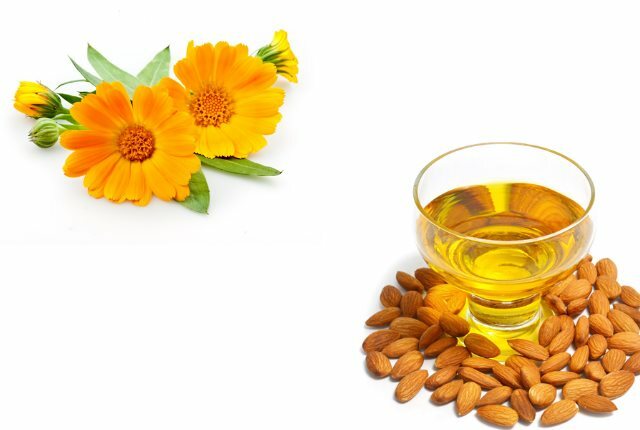 Vitamin e contains anti oxidants which helps to reduce the fine lines and wrinkles with regular usage. Apart from this it also helps to reduce the age spots. This anti ageing creams contains some precious essential oils which helps to soothe your skin and improve its texture. It contains apricot kernel oil which helps to soften the fine lines and nourish your skin while Rosehip Seed oil helps to regenerate the skin and reduce the dark spots as well as signs of ageing. To prepare this cream you would need one tablespoon of coconut oil, two tablespoons of Jojoba oil, three teaspoons of Rosehip seed oil , three teaspoons of apricot kernel oil, two teaspoons of beeswax and two tablespoons of rose water. Put all the ingredients in a glass bowl and keep it in the microwave. Let it heat till it melts. Once done pour this mixture into the glass jar and store in the refrigerator. Your Anti ageing cream is ready to use. You can use it as a night cream as well. This texture of this cream is heavy hence it is recommended to use it as a night cream only. To prepare this cream you would need 1/4th cup of Aloe Vera gel, Half a teaspoon of beeswax, two tablespoons of almond oil, one teaspoon of coconut oil, half a tablespoon of Shea butter, one teaspoon of honey, one teaspoon of vitamin e oil and few drops of lemon essential oil. Mix all the ingredients together in a bowl and keep it in the microwave till it melts. Once done take it out and store in the glass jar. You can store this in a refrigerator. You can use this as a nighcream before hitting to the bed. It contains goodness of Shea Butter, Aloe Vera Gel, Coconut Oil and Almond Oil which helps to nourish and moisturize the skin and reduce the fine lines as well as wrinkles. Apart from this it also helps to brighten the skin with regular usage. To prepare this cream you would need few dried Calendula flowers, two teaspoons of Beeswax, one tablespoon of Calendula oil, Two tablespoons of Almond oil, Few drops of lemon essential oil and Frankincense oil. First Put the dried calendula flowers in one cup of a boiling water and let it simmer for at least 10 minutes. Once it cool down strain the mixture and store the liquid in the refrigerator. Now add the other ingredients to this oil except essential oils and keep it in the microwave till the beeswax melts. Once done take it out and add the essential oils to it. Mix well and store the mixture in the glass jar. You can store this mixture in the refrigerator. The texture of this cream is very rich and heavy . Hence it is advised to use as a night cream only. It helps to hydrate and nourish the skin effectively. It also helps to delay the signs of ageing with regular usage. This is one of the simple recipes. To prepare this you would need one tablespoon of pomegranate seed oil,. two tablespoons of cocoa butter and one tablespoon of jojoba oil.Put all the ingredients in a glass bowl and mix well. Now put this bowl in a microwave till the mixture melts. Take it out once done and store in the glass jar. You can use this as a day cream as well as night cream. Pomegranate is known as one of the best anti ageing ingredients. Due to its anti oxidant properties it helps to slow down the ageing process and reduce the wrinkles. Cocoa butter and jojoba oil helps to moisturize the skin and improve its elasticity.